A Year in Review: We’re taking some time to think. 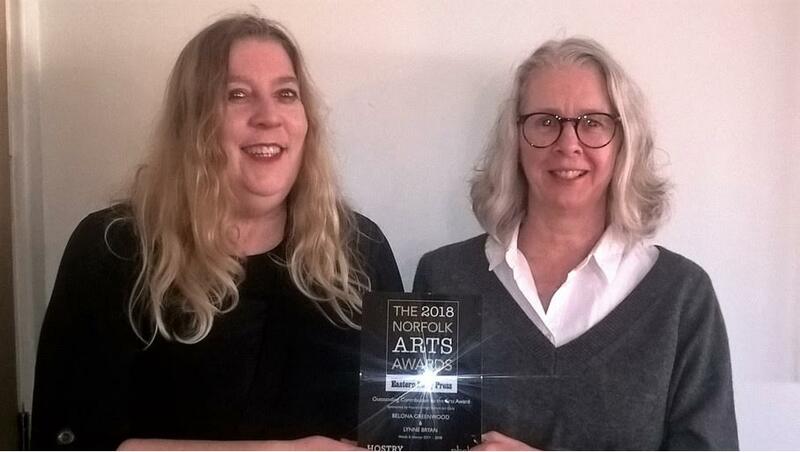 2018 saw us make some fabulous things happen and receive recognition for our work from the Norfolk Arts Awards. Our Outstanding Contribution to the Arts Award was a wonderful accolade but tinged with sadness too as this year we decided to take a break from many of our activities so we could think about the organisation’s future. We are still thinking! In January we announced the winners of our annual prose competition, sponsored by Hosking Houses Trust and Gold Dust. The winner of our national prize this year was Kerry Hood for her eerie story The Sunbathers and Margaret Meyer won the regional prize for The Once And Only First Lady Judge, a story written in honour of her grandmother. Kerry and Margaret won cash prizes and their work was published in The Words & Women Compendium. The Words And Women Compendium, a brave and vibrant collection of short prose, represents the best of four years of Words and Women’s annual competition showcase anthologies. Click here to buy a copy! We launched the compendium at our International Women’s day celebration at The Book Hive, a great independent bookshop in Norwich. At the launch we also announced that we were going to take our break. If you scroll down to the next blog post you’ll find our statement about this decision. In May we were invited by the Suffolk Book League to talk about our work. The Suffolk Book League is based in Ipswich and our reading took place at their usual venue, the Ipswich Institute, an independent library founded in 1824. We had a full house; Deborah Arnander, a previous winner of our prose competition, read her story The Wife at the event, and lots of interesting questions were asked about Words & Women and suggestions made about how we might continue. The rest of the year was devoted to celebrating 100 years of women’s suffrage. 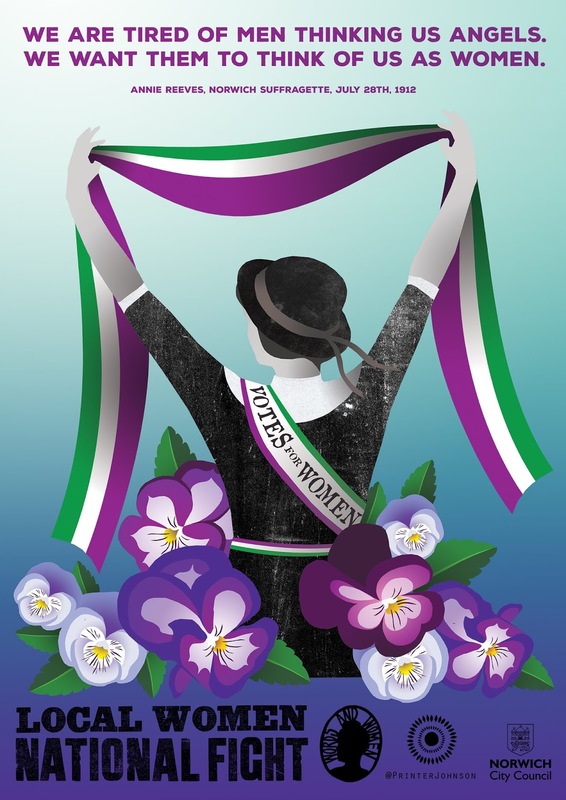 We ran a poster campaign featuring quotes from women from this region - Millicent Garrett Fawcett, Miriam Pratt, Annie Reeves and Princess Sophia Duleep Singh - who’d been involved in suffragist and suffragette activities at the turn of the century. The beautiful posters, designed by Vicki Johnson, were distributed around the county and to all Norfolk sixth form centres. 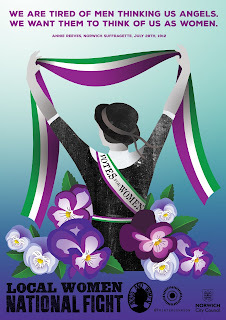 We also teamed up with Norfolk Library staff and the University of East Anglia to suggest books for the library promotion Suffragette Stories. Fourteen books were chosen for the promotion, including The Words And Women Compendium. More information about both of these projects can be found on our dedicated blog page. Our year ended with our Outstanding Contribution to the Arts Award at October’s Hostry Festival. We want to thank the Norfolk Arts Awards for their support and generosity. We hope to let you know in a few months’ time about the future of our organisation. In the meantime we wish you all the very best for your writing in 2019 and in politically and economically uncertain times, let’s raise a glass to community and compassion.